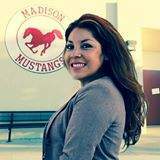 SAUSD School Board candidate Beatriz Mendoza is hosting a Campaign Open House on Wednesday, Sep. 7, 2016, at 2424 N. Grand Ave., Suite B, in Santa Ana, at 5:30 p.m.
Food will be provided by El Governador Restaurant. Voter registration forms and assistance will be available. Mendoza works for U.S. Rep. Loretta Sanchez and she is a Santa Ana Planning Commissioner. She is a SAUSD graduate and she has a degree from UCLA. She is raising her children in Santa Ana as well. Jose Moreno, former Trustee for the Anaheim City School District. Learn more about Mendoza at this link.